Learning a new language is more than just learning how to pronounce things, how to structure sentences, and how to properly use descriptive modifiers. Without a doubt, the most important aspect of learning a new language is being able to use it in real-world situations in actual practical applications. This means that you will want to begin learning vocabulary. 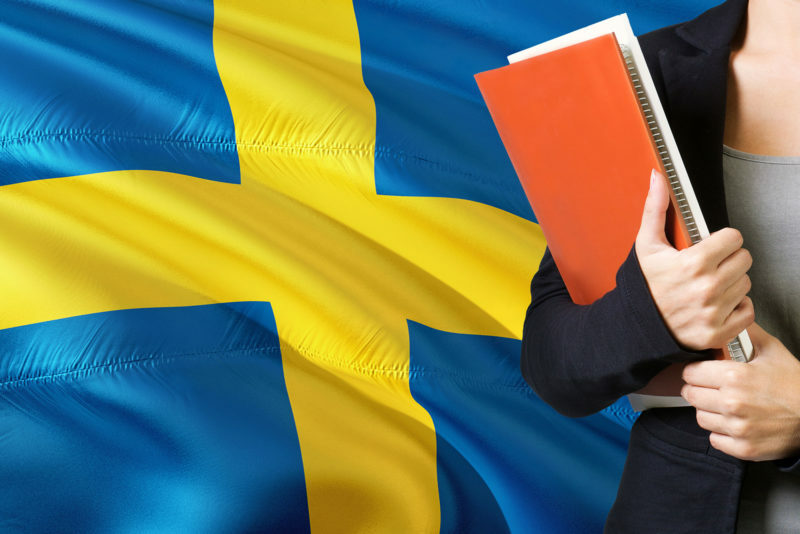 When it comes to Swedish, the good news is that learning vocabulary is relatively easy. Let’s take a few moments to talk about some powerful tips on how to learn and memorize Swedish vocabulary quickly and easily, so that you can start making the most of your new Swedish language skills. One of the single most important things that you can start doing right away in order to better learn and memorize vocabulary in the Swedish language is to be reading, writing, and speaking the words that you know and new ones that you are learning over and over again throughout your everyday life. This is the same way that you learned your native language and it is vital to learning your new one. Associating new words with mnemonic devices such as icons, pictures, drawings, or even funny scenes or comics can help to ingrain into the mind the meaning of the word or phrase easier and with more rapid recollection in the future. Choose an image that is related to the words or phrase for best results. Make every effort that you can to use the Swedish language routinely and in a natural way in the context of your day to day life. This will help you to assimilate the language into your normal way of living to provide you with better proficiency. Read! Read as much and as often as you possibly can. Read everything that you can get your hands on. Read every single day at least once and more often as possible. To put this in the most basic of terms, take every chance you have to read in Swedish as much as humanly possible. You should especially focus on reading the newspaper, as the nature of news is designed to help you retain information, and in this case, it will also help you to remember new words while challenging you to learn the meaning of ones that you are exposed to for the first time. By reading, you will also start to see words in context with other words and phrases, which is part of how you learned your native language to begin with. Make learning Swedish easier for yourself by learning about the roots of common words, and the origins of popular and common phrases. In this way, the words and phrases will start to make more sense because you understand the way they came to be. You will also start to understand how different words and phrase are related to one another. No, we’re not talking about responding to a request on Facebook, although it’s not a bad idea to join a Swedish language social group on social media as well. What we are talking about is meeting new people in the world either I real life or online that speak Swedish, naturally, and then start to talk to them daily if possible in your new language. You will be surprised how much this will help you with your language skills development. Categorize new words that you learn into groups with other related words which you have already learned. For instance, learn a group of words for men’s clothing items you already know together as a category along with the related words for similar women’s clothing. You could also categorize words for spices with words that you already know for food items they are used in. Be persistent and consistent in practicing your use of Swedish every single day by speaking often to your family, friends or your cat. Use your new language alongside your current one often, even if they don’t understand a single thing that you are saying. As an added bonus if you do this often enough, they will start to pick up vocabulary skills from the language without even trying. They say this is the first sign of insanity, but it is also the best way to practice your new langue skills in a way that does not potentially lead to being self-conscious is you flub a word or forget a phrase. It’s easy to do, just say words and phrases that you are leaning out loud to yourself. Odds are that you already rationalize things out loud or even proof ready work out loud anyway over the course of your day, do start doing it when you can in both your native language and in Swedish. This way you not only learn the words, but you can actually hear them as well and that can lead to better pronunciation over time. One way that you can remember the correct pronunciation of a new word in Swedish is to associate it as a homophone to a word that you already know in your native language. The words don’t even have to have close to the same meaning, as long as they sound alike. Link the two words together in your mind and you will always remember how to pronounce the Swedish word. A great way to learn the vocabulary of a new language is to listen to the music of the people who speak that language. Listen closely to the lyrics of popular songs, love songs are especially good. By doing this you will be exposed to short phrases with clear meanings. This will help you to quickly assimilate words and phrases in a natural usage. Do you remember how you learned your native language? Of course not, because you learned it as a kid. You were exposed to it from the earliest moments of your life, you were taught by using pictures, sounds, music, games, and other media and interactions. This is the same way that you have undoubtedly taught your own children to understand your language. The same way of learning still applies as an adult. If you want to become very proficient in Swedish then watch children’s programming, seek out YouTube videos aimed at children in Swedish, and listen to Swedish children’s music. Learn Swedish the same way you learned your first language as a kid and you will learn to speak it like a native. Just as music can be a great way to learn the practical application of a new language, so can movies, TV shows, stories, and games. These items are intended to be easily absorbed and understood by the populace on the whole, which makes them great for seeing your new language being put to use in actual settings you may encounter yourself. A lot of times when you are just starting out with a foreign language you tend to focus on the words that you are learning. Any expert will tell you that learning to speak a language is more than just learning a list of vocabulary words, it’s about learning how those words work in real applicable phrases. Don’t just learn Swedish words, learn Swedish phrases and the words will come to you along the way. 15. Don’t Just Speak in Swedish, Think in Swedish! It’s simple, when you think to yourself, stop thinking in your native language and start to think out problems with tour internal monologue speaking Swedish. This way you will be fully incorporating your new language into your thought process and this will help to facilitate the language becoming a fully integrated part of your life.